Ideal for weddings, private parties, events, corporate gatherings and campsites across the south coast. 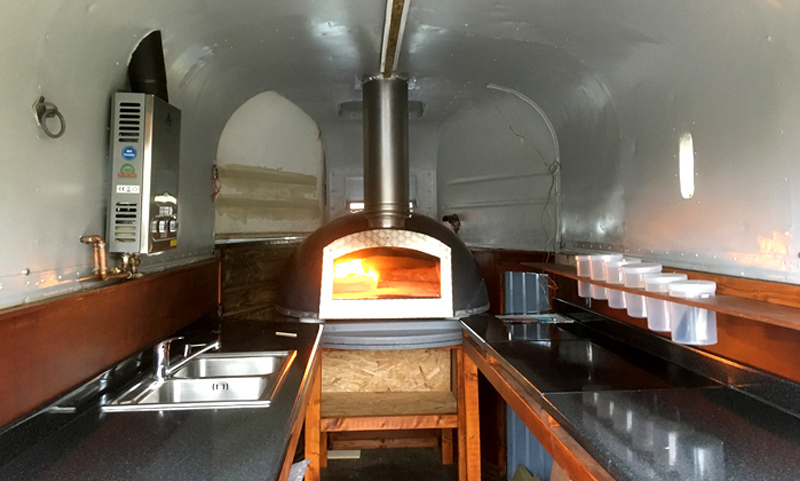 The wood fired pizza trailer and kitchen comes ready to create affordable meals be it lunch, supper or breakfast the perfect companion to the bar as they are a matching pair. We have award winning chefs, who will match your budget to your taste. We can also cater for the post Big night morning blues with roly poly breakfast cooked in the wood fired oven and lashings of hot coffee in pump thermos. So whether you fancy waking up to a delicious and hearty breakfast, a midday lunch or even supper we will make sure everyone is fed and happy. 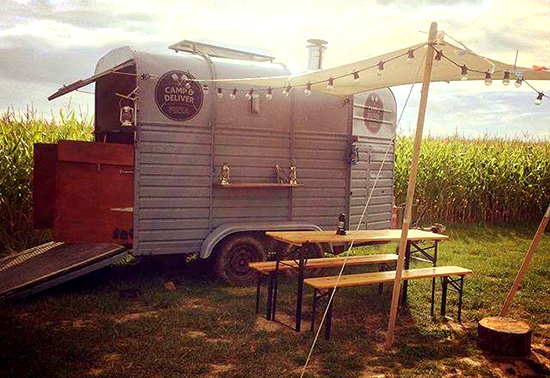 The “Camp & Deliver pizza trailer has been designed for self sufficient off road cooking with the wood fired oven, solar powered lighting and water pumps it can go any where and create mouth watering food. Let our experienced staff feed your guests with quality food cooked in our professional wood fired-oven. Delicous and filling our catering staff will prepare and serve your guest with quality food, perfect for weddings, private parties, celebrations, outdoor events and even corporate days. We can even work with you to adapt the menu to suit your preferences. So why not give us a call to discuss your needs! Hire prices start from £150 for the trailer and one member of staff. We have minimum orders of 60 guests travel and unsocial hours can be added depending on the size of event.